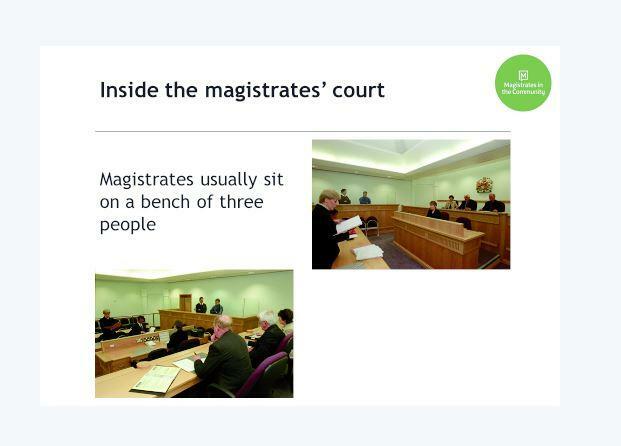 Chris Hack enthralled us with his wonderful description of being a magistrate in England. He outlined the history and the process of becoming a magistrate as well as all it entails. With the benefit of a few slides, Chris explained with enthusiasm the court layout, personalities involved and the procedures. He gave examples of the types of criminal cases [95% of which are dealt with in the magistrate’s court] and how these cases are processed in the court. He talked us through what can happen to someone charged with a criminal offence from the point of arrest up to and including a trial. Thank you Chris for an excellent and absorbing talk and we look forward to the next instalment which you have promised to go through the process of sentencing and punishment.